Irwin Mitchell is unlike any other law firm. It is unique, both in its culture and its approach to business. A nationally acclaimed law firm with a strong international capability, the firm offers a broad range of legal services to national and international organisations and institutions, small and medium-sized businesses and private individuals. The firm remains one of the leading personal injury and medical negligence litigation practices in the UK. It offers a wide range of services covering all the key injury types from road traffic accidents to product liability claims and serious head/spinal injury cases. The firm is also one of the UK’s leading suppliers of commoditised legal services to the insurance, banking and retail sectors and it aims to become the first choice ‘volume outsource provider’ for companies and institutions who offer their customers legal and associated services. If you have the car, Millfield Autoparts have the parts! Established in Peterborough in 1985, Millfield Autoparts has grown to become an established dealer offering the widest selection of car parts and accessories throughout Cambridgeshire. A prestigious member of the Group Auto Foundation. Since its foundation in 1974, Group Auto has led the way in helping independent motor factors to remain independent. Husseinaly Jessa Damani along with his two brothers Hassan and Hyder, set up Millfield AutoParts in 1985. The business has been running since then and is now part of local Peterborough history. Millfield AutoParts has long held a strong friendship with its staff, suppliers and customers. This has resulted in us all sometimes being labelled as “everybody’s second family.” Honesty, friendly staff and hard work has made the business successful and these were the principals which has excelled our customer service guarantee. After watching a few of the Phantoms Para Ice Hockey games, and being hooked by the speed and skill of the sport, Millfield Autoparts became the clubs joint headline sponsor in April 2018. Inspire Peterborough is a project of Disability Peterborough, a local registered disability charity. 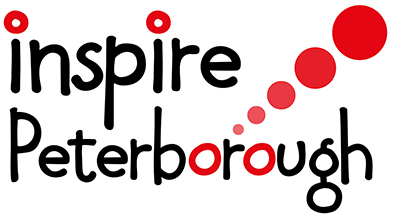 Inspire Peterborough promotes sport and leisure activities, as well as promoting Health and Well-being initiatives and support for disabled people and their family members and carers. Building upon the legacy of the London 2012 Olympic and Paralympic Games, they will support and inspire all disabled people in Peterborough to have better life outcomes through participating in sport, leisure activities and volunteering. The Peterborough Phantoms Para Ice Hockey Club are proud to support the “Don’t Quit, Do It” initiative. 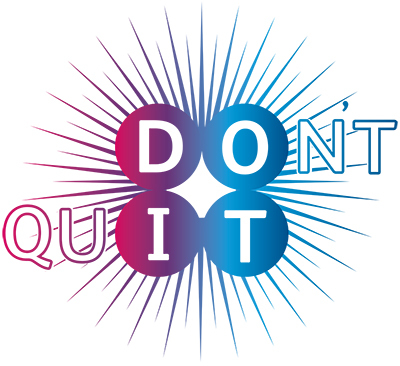 “Don’t Quit, Do It” is a campaign from Irwin Mitchell Solicitors to highlight the benefits of sport in helping people recover from serious injuries and other major traumas in their lives. There are 9.4 million people with disabilities in the UK but only one in six takes part in sport regularly, and Irwin Mitchell hopes that the campaign will also encourage more people to get involved. Experts at Irwin Mitchell find that sport not only helps with physical aspects of rehabilitation but can also motivate and inspire people with disabilities to get involved in new activities and learn to come to terms with their new situation.